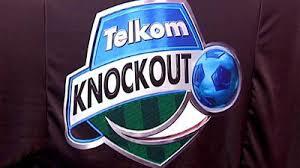 Huge turnout expected for Telkom Knockout final - SABC News - Breaking news, special reports, world, business, sport coverage of all South African current events. Africa's news leader. Baroka FC and Orlando Pirates will do battle in the Telkom Knockout on Saturday afternoon. A near-capacity crowd is expected to attend the Telkom Knockout final between the giants of Soweto, Orlando Pirates and Baroka FC at Nelson Mandela Bay Stadium on Saturday. The stadium’s capacity is 48 000 and more than half of the tickets have already been sold. Approximately 35 000 fans are expected at the game. Telkom Knockout ambassadors and former Bafana Bafana players, Jerry Sikhosana and Matthew Booth, are marketing the game in the Nelson Mandela Bay townships. Skhosana says it is good to see the so-called smaller teams like Baroka reaching the final. “Credit should go to Wedson Nyirenda. He is a colleague. I have played football with him. I know his thinking mentally. We used to do a lot of things together when we were still at Giant Blackpool. Overall, you didn’t expect teams like Sundowns not to be here … Chiefs with their massive following. But credit must go to those who deserve, especially Baroka,” says Sikhosana. This entry was posted on 06 Dec 2018,05:15PM at 5:15 PM and is filed under Sport. You can follow any responses to this entry through the RSS 2.0 feed. Both comments and pings are currently closed.